A local FOX affiliate recently caught up with 7th Regiment as the corps was getting ready to embark on its 2016 national tour. In their newest episode of “Inside BD360,” members of the Blue Devils pay tribute to one of their corps managers who will retire this season after 28 years with the corps. Celebrate with the Blue Stars at the corps’ 2016 season-ending banquet on Sunday, August 14. Want to know what it's like to be a member of the Cadets? Join them and USBands in Annapolis, Maryland on Tuesday, August 2 for a Music is Cool educational clinic. Carolina Crown will induct four members into its Crown Hall of Fame during the NightBEAT Tour of Champions event in Winston-Salem, North Carolina on Sunday, July 31. One of the Cavaliers' latest videos looks back at corps members during last weekend's DCI Southwestern Championship in San Antonio. Genesis was featured by the local CBS affiliate while attending the Tournament of Drums DCI Tour event in Cedar Rapids, Iowa. Rain rain go away! Louisiana Stars made the most of a rainy homeshow in Lafayette, Louisiana by sharing the corps' performance live on Facebook. The Madison Scouts are in need of on-site volunteers in numerous locations during the corps’ upcoming tour stops. 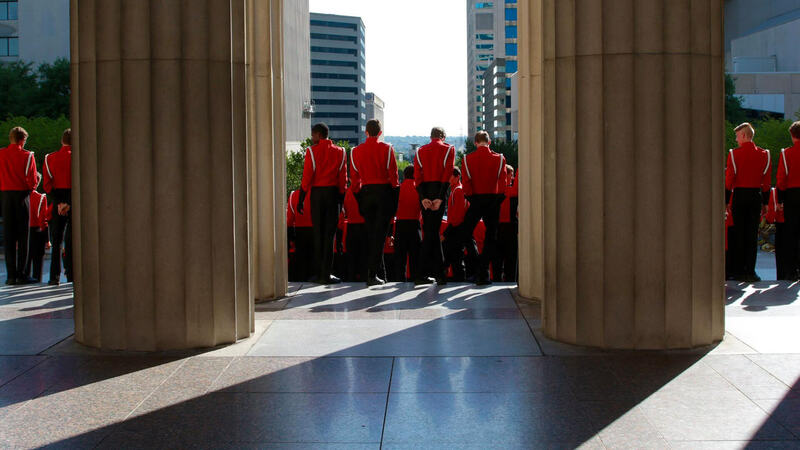 Music City turned heads in downtown Nashville with a performance on the steps of the Schermerhorn Symphony Center to publicize the Masters of the Summer Music Games event at Vanderbilt University on Friday, July 29. The Oregon Crusaders held an educational clinic in Katy, Texas where band students had the chance to learn from corps members and to watch them perform. Seattle Cascades shared more than 100 photos from its recent Hattiesburg, Mississippi performance. Southwind shared an interview spot with all-age corps Southern Knights during a broadcast from Mountain Brook High School in Alabama on the local FOX affiliate.